As many states across the nation are passing new laws mandating the use of hands-free devices in vehicles, it couldn’t be a better time to invest in a bluetooth headset. This device, the Jabra BT2080, offers plenty of features for a low, affordable price. Although this bluetooth does not come with noise-cancellation technology, keep reading to see if this headset is right for you. While I did not find anything amazing about the Jabra BT2080, I was still satisfied with this device nonetheless. There are three fairly standard buttons, which control the on/off, answer/end, and volume functions. 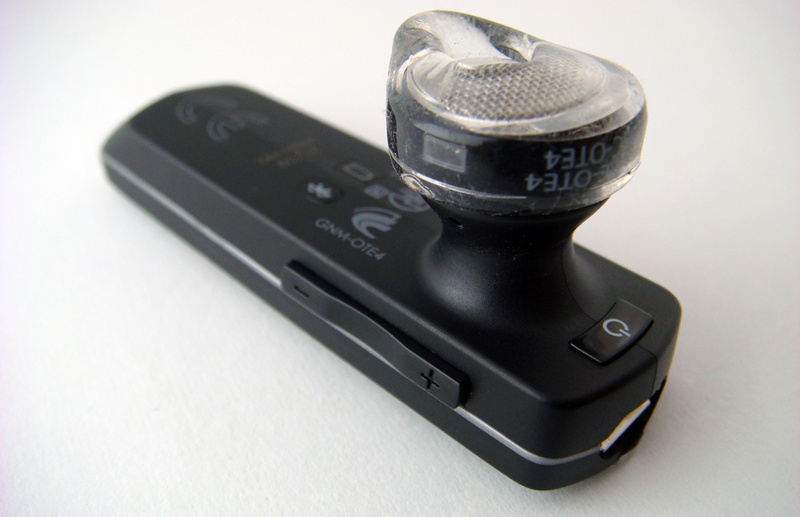 Two LEDs, located on the backside of the bluetooth, notify the user of the battery life and the wireless connectivity. 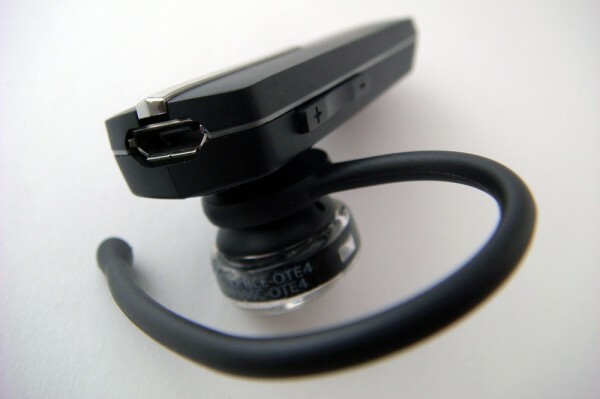 There is also a miniUSB port at the rear end of the bluetooth. I liked the simple design and found that it contributed to the device’s ease of use. To pair this device, you simply hold the power button for about 5 seconds. You’re hand-free ready after you punch in the pin (0000). The BT2080 comes with features such as auto pairing, multi-point connections, voice dial (if your phone supports it), redial, call reject, and call waiting. Because of Jabra’s “Eargel”, the bluetooth fits snuggly into practically any ear. You can wear it in both ears with or without the removable earhook. Unlike other headsets I’ve tried in the past, this bluetooth never once fell off while using the earhook. It also never felt uncomfortable when it was in my ear for prolonged periods of time. I thought that this Jabra, unlike with the Andrea BT-200 and its boom microphone, had a stylish form factor. Many bluetooth models attempt to look unique by having different shapes and sizes, but instead end up looking very unfashionable or downright ugly. 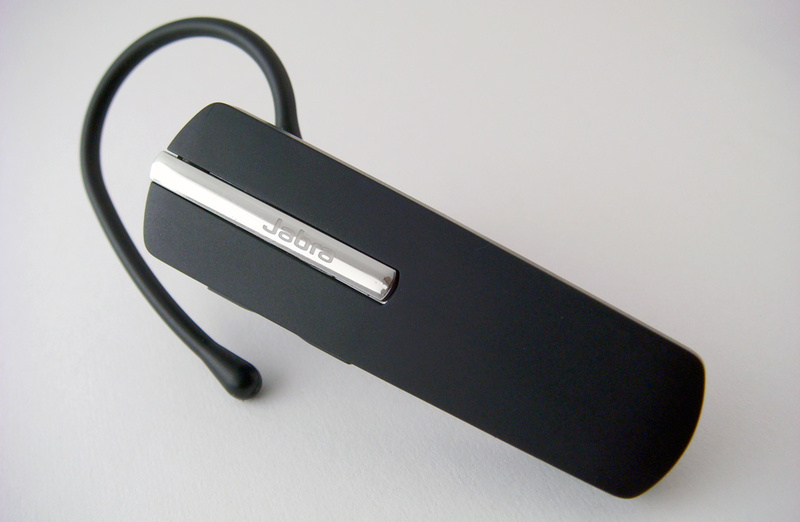 This bluetooth, however, does not come with those problems because the elegant rectangular design. Unlike the design, the battery life, which lasted me about 3-4 hours, fell far short of my standards. It does not compare to the 6-8 hour battery life of the Andrea BT-200 and the 10-hour battery life of the Jabra BT5020. This should definitely be improved because it is an annoyance charging the bluetooth constantly. Also, charging the BT2080 turned out to be an unexpected hassle because of the 3-inch length of the charger’s cord. This is obviously way too short; I cannot fathom why they didn’t make it cord longer. With regards to call quality, the BT2080 performed decent at best. As long as I was within a 10-meter range, both myself and the receiving party could hear the other well. When I went past that radius, however, the line began to break down because of static interference. Unfortunately, this bluetooth does not have the best noise-cancellation technology, so the quality ended up being on par with the price you pay. For instance, it’s difficult to hear the other party while in a crowded area. While I did feel fairly pleased with the call quality, I have read some other user reviews that were not as happy with this Jabra. Although I did not experience bad reception or voice quality, a fair portion of the users did. So be aware of this if you do choose to purchase this product. The Jabra BT2080 costs $25.00 on Amazon, but I have seen it for lower prices elsewhere. I would recommend this device to first-time and casual bluetooth users, but not to heavy users. Those who do use a bluetooth everyday extensively should invest more money in a headset with noise-cancellation technology. Everything you’ve said about the BT2080 is what I found, however if you are using the devise at highway speed it is worthless to initiate a call through your phone commands. The quality of the call is just as bad but it you really want to pull off the road to have a conversation then this is the unit you should buy. But don’t spend anymore that $15.00, you would do better with a wired head set.